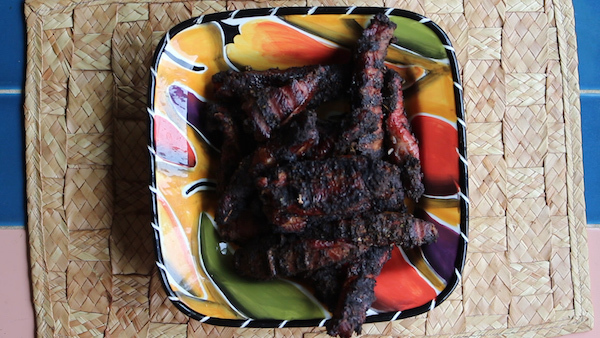 The Jamaican jerk cooks use a technique of cooking best described as “smoke-grilling.” it combines the direct heat of grilling with smoke produced by fresh pimento leaves and branches. 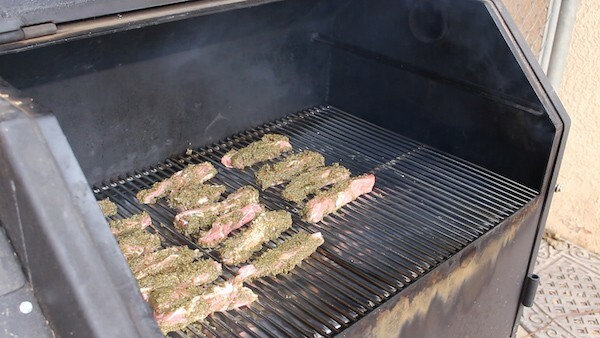 While grilling, the meat is often covered with a piece of corrugated aluminum to keep the heat and smoke contained. 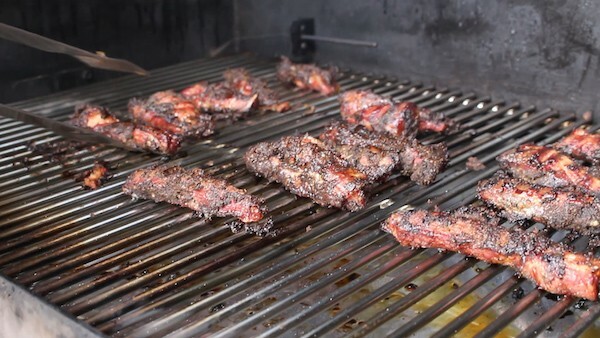 This method can be approximated by using a weber-type barbecue with a round drip pan filled with water in the center of the coals to catch drippings and prevent flare-ups. Although marinated pork can be smoked with cooler smoke in an indirect-heat smoker, the texture will not be be the same as with smoke-grilling, and the traditional crust will not form. 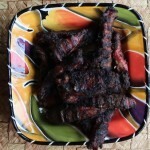 We prefer to smoke-grill over wood rather than charcoal, as the flavor is far superior. Note: if you are using a smoker, smoke the meat for 2 hours at 300 degrees F., turning once after one hour. Variations on jamaican jerk sauces and marinades range from the early, simple pastes of three or four ingredients to the more modern and rather complicated concotions with as many twenty-one spices, herbs, and vegetables. 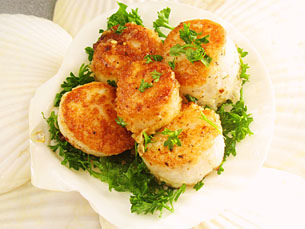 By varying the amount of vegetable oil and lime juice added, the cook can change the consistency from a paste to a sauce. 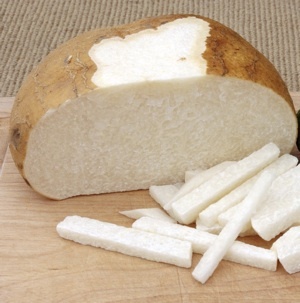 Traditionally, it is used with pork, chicken, or fish. Roast the pimento berries in a dry skillet until they are aromatic, about 2 minutes. 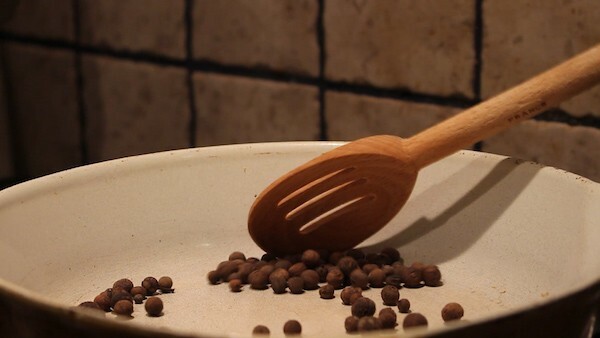 Remove and crush them to a powder in a mortar or spice mill. 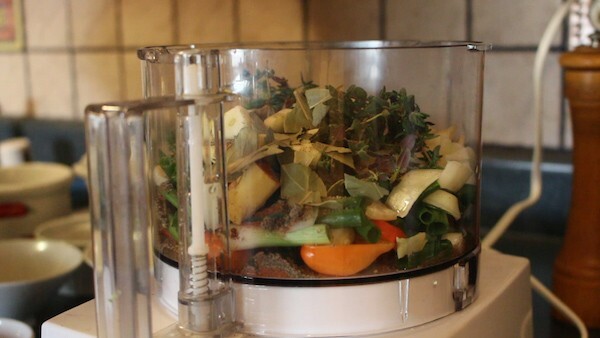 Add the pimento powder and the remaining ingredients to a food processor and blend with enough water to make a paste or sauce. Remove and store in a jar in the refrigerator; it will keep for a month or more. 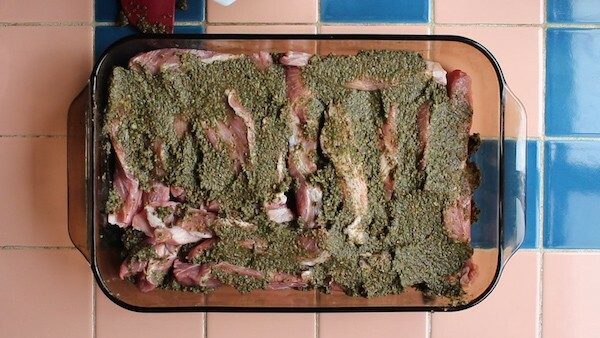 Combine the pork and the marinade, toss well, and marinate the meat, covered, overnight in the refrigerator. Build a fire in the barbecue using the hardwood. It is permissible to start the fire with charcoal--just don't cook over it unless it is natural chunks of mesquite or oak charcoal, never briquettes. When the wood has burned to coals, spread them apart and place a metal drip pan, half-filled with water, in the center of the fire. Place the marinated pork on the grill, directly over the pan, and as far from the fire as possible. Next, either use the barbecue cover to cover the meat, leaving a small vent for fresh air, or make a tent with aluminum foil to cover the meat and keep in smoke. The trick for the next few hours is to add sufficient wood to keep the fire going while avoiding making it too hot. Every half-hour or so, add some soaked hardwood chips to the coals to produce smoke. Feel free to drink some red stripe beer while tending the fire. Cook the pork for 2 to 3 hours, depending upon the heat of the fire, turning the meat occasionally on the grill. It can be basted with more marinade. The pork should be crispy and nearly black on the outside and tender on the inside, almost to the point of falling apart.